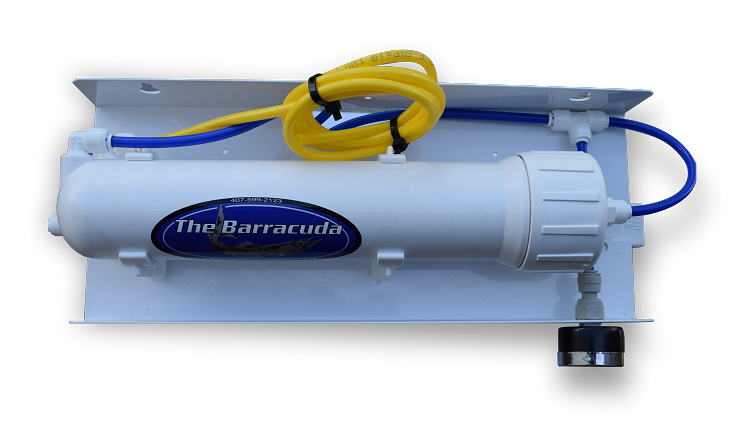 The Barracuda RO/DI is very popular among residential reef enthusiast. 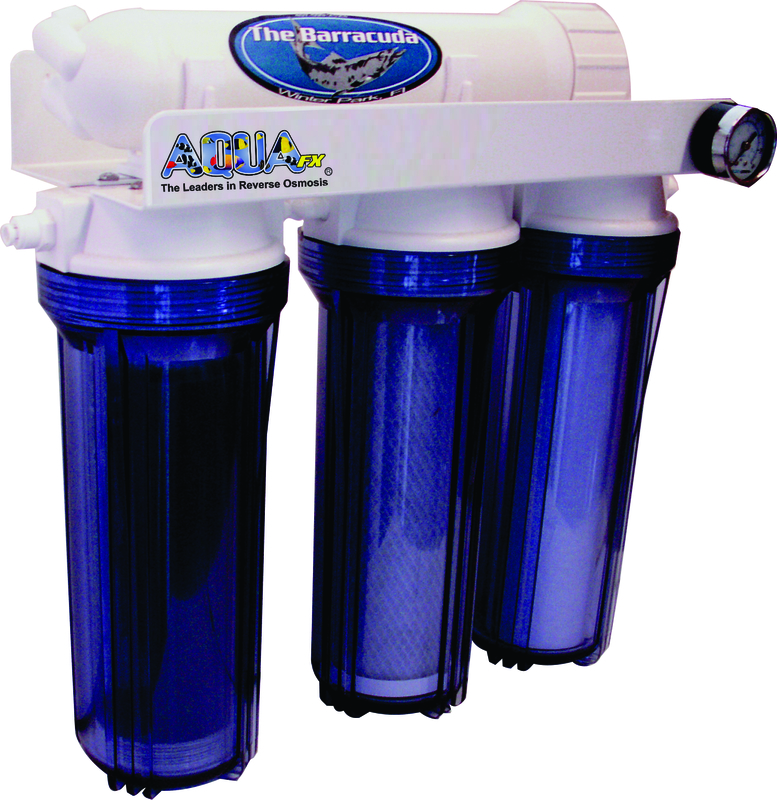 The AquaFX Barracuda RO/DI is still the first choice of residential reef enthusiasts, engineered to meet the specific needs of your top off and makeup water. AquaFX is proud to have our Barracuda recognized by About.com for being #1 pick for RO/DI's within the industry. About.com named the Barracuda the Number ONE for aquarium RO/DI . Great RODI system. Purchased this for my saltwater aquarium and am thrilled with the purchase. Customer support is as good as it gets as well! Great product, works as described. Easy to maintain and customer service is very responsive. I have 50 psi coming in, no booster, serial connection with a second di membrane. This setup has allowed me to produce same amount of water in less time, saving on waste water. I recommend adding a second di membrane for this reason, but not required. I get 5gal of product water in 30-60 min depending on incoming water temp. Never lug buckets to LFS again! Serious reefers need to have this unit! 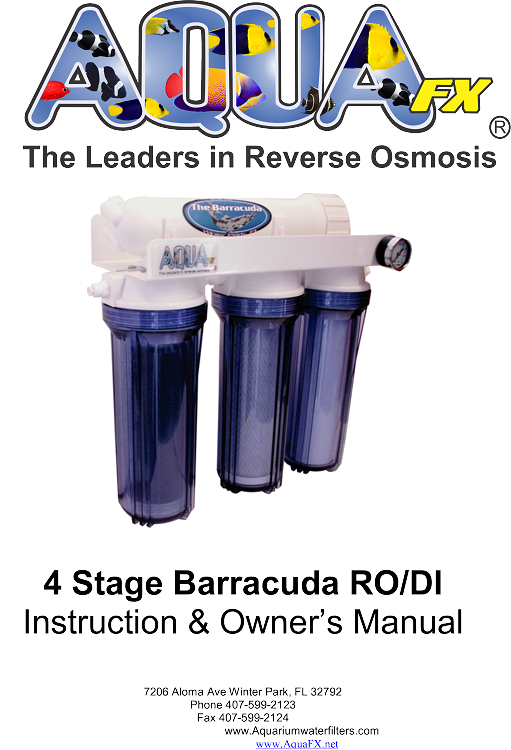 Amazing filter, backed by an american made company with excellent customer service. 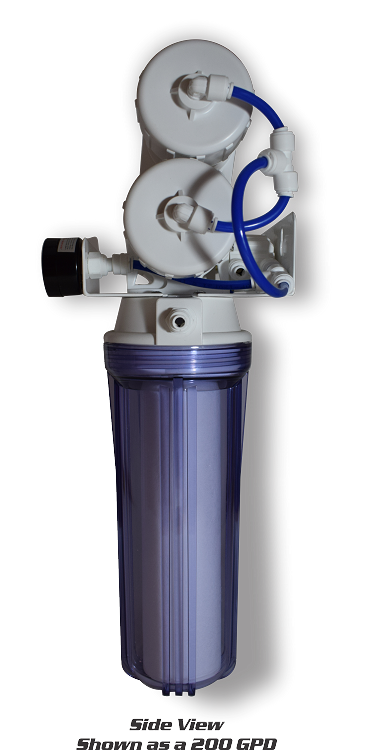 I have nothing to complain about, the filter is well made with quality components and fittings. I have owned the 5 stage barracuda filter for over 2 years now, one year it was sitting outside in the sun and it still works as good as the day I bought it. Q: About what is the usable water to waste water ratio on the Barracuda RO/DI? A: For every gallon of product water you make, the system makes four gallons of waste water. This is designed to optimize membrane life. Was this answer helpful? 12 of 14 Customer(s) found this Answer helpful. Q: I have this filter. Approximately how long until I will need new filters and membrane? Sediment and Carbon - With these pre-filters you can look for a pressure drop, or change them our based on a volume production. Without knowing your tap water conditions / volume used per day, I cant give you a very accurate filter life for your prefilters. Most customers will change them quarterly or possibly twice a year. But this heavily depends on whats in the initial feed water. DI filter (this ones easy) - you just measure the TDS out of the unit and look for a Zero-ppm. The DI also changes color indicating that its exhaustion is starting to take place, but always use a TDS meter to assess if a DI is exhausted or not. Q: Is this filter ideal for freshwater planted aquariums? The description seems to only highlight that the Barracuda is the "choice for residential reef enthusiasts". A: The Barracuda maybe overkill. But it would certainly work well. 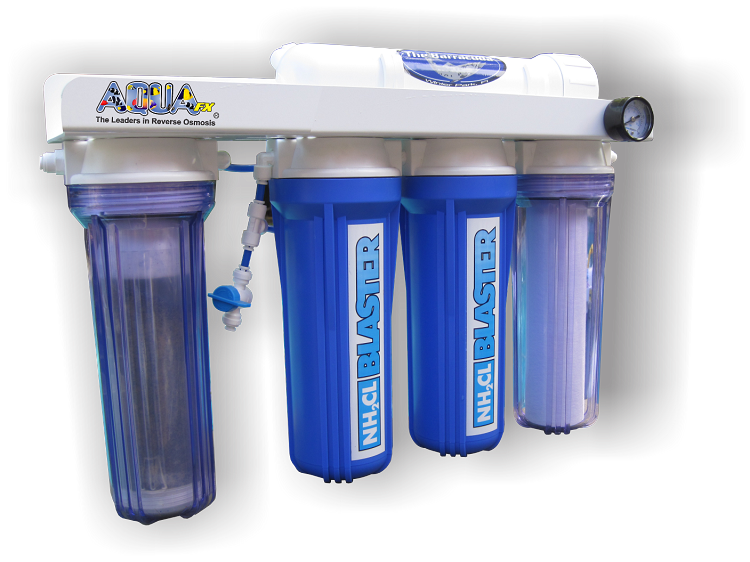 You can use a AquaFX Dolphin, it will cost you less and work very well too!